SOON WE WILL COMPLETE OUR WORK TEAM FOR THE FREE WALKING TOUR IN PALMA. “I am very interested in joining this Project of free walking tour in Palma because it’s a new idea in the city, an initiative that allows to do what I love everyday. The company has a different philosophy and work environment than other typical touristic companies” says Carlos, the first guide to join our team. And Albert, the last one we met, says to us: “It is very important, the fact that all guides that we are part of this Project, we are official and certified workers doing this touristic tour in Palma de Mallorca”. If you want to know more about us, don’t miss our next post. 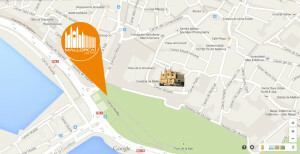 Free Walking Tour in Palma de Mallorca.